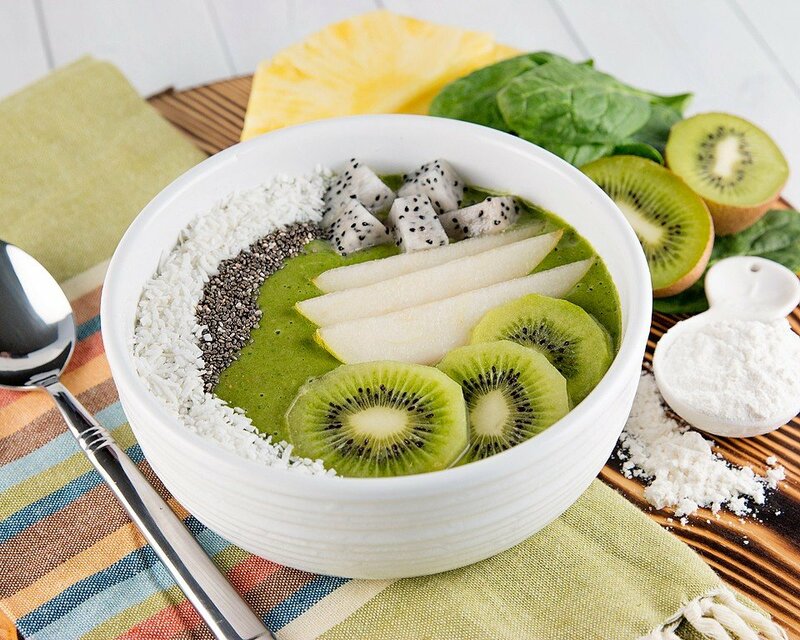 Smoothie bowls are a favouite of mine and not just for breakfast. 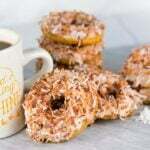 I will eat them post workout or for an evening treat to satisfy my sweet tooth. 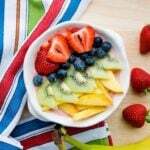 I often play around with the fruits and greens that I have on hand to make tasty flavour combinations. 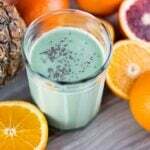 My smoothies usually include protein, as I find that it helps to keep me full and power me through the day. 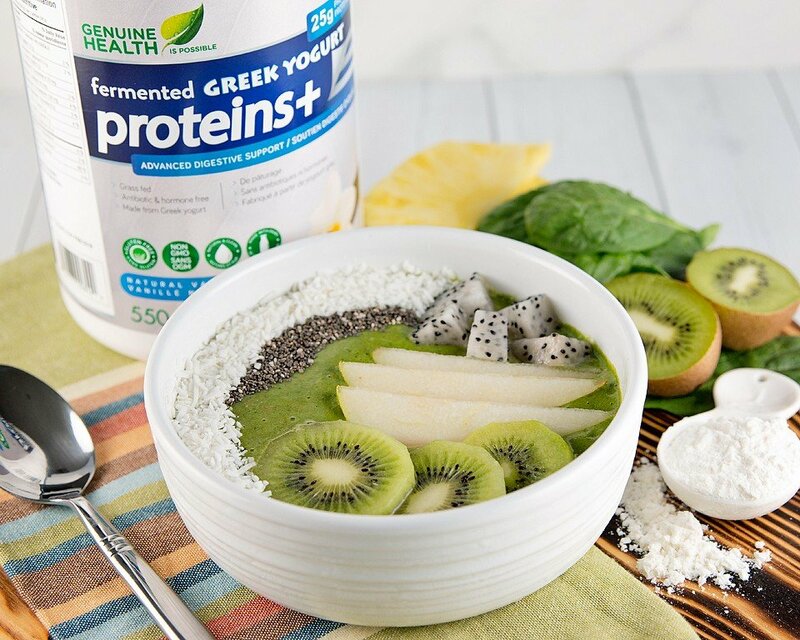 This green smoothie uses new fermented Greek yogurt proteins+ from Genuine Health. 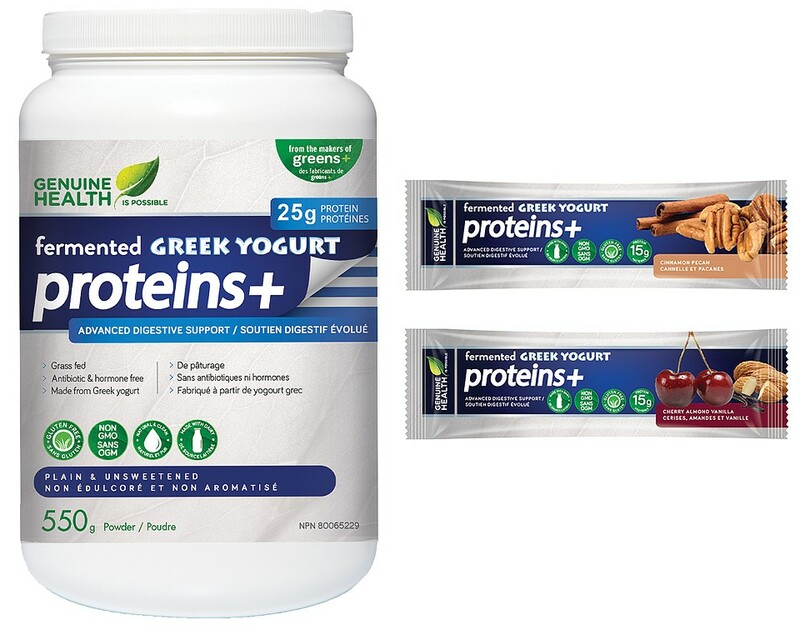 As a premium protein source, fermented Greek yogurt proteins+ provides nutrients vital to good health and has more than six times the calcium of whey protein. On top of that it has a great taste and creamy texture that is delish! 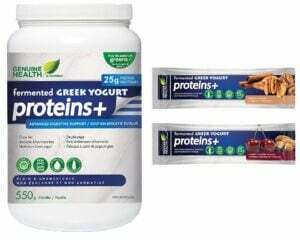 Fermented Greek yogurt proteins+ is a versatile protein and the perfect addition to any smoothie, baked recipe. 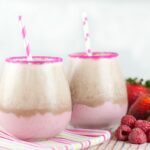 It is also perfect when simply shaken with water, milk, or a beverage of your choice. 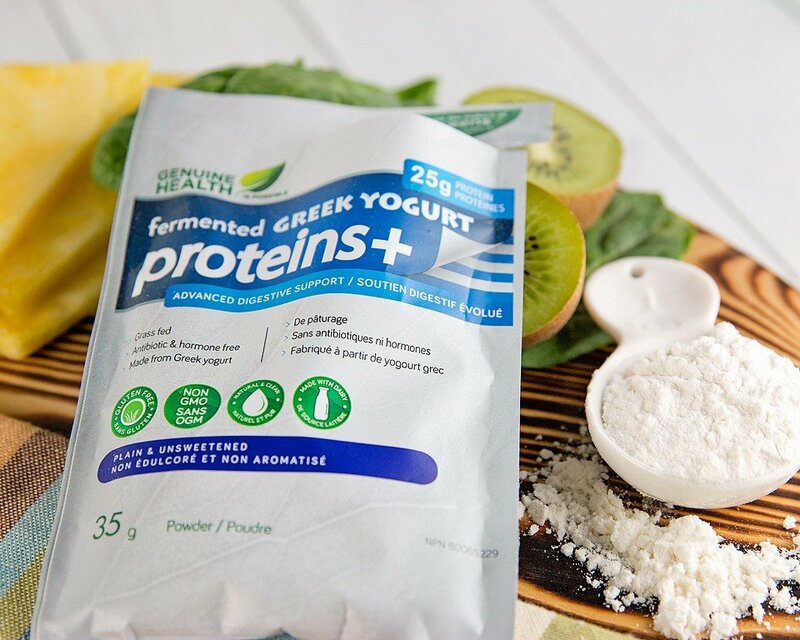 Fermented Greek yogurt proteins+ is available in vanilla (which I used in this recipe) and plain/unsweetened flavours at your local health food, grocery and drug retailers. They also have delicious, portable bars! Visit the Genuine Health website to find a store near you. 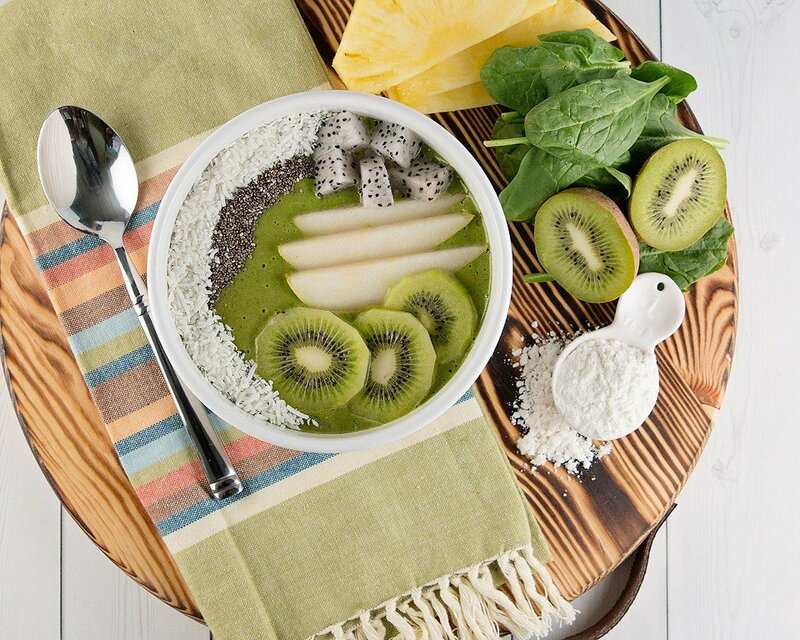 Combine all of the smoothie ingredients into your blender. Blend until smooth and then transfer to a bowl. 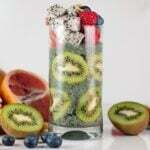 Top with fruit, coconut and seeds. If frozen fruit is not used, add ice to the recipe. Have a wonderful Friday and enjoy your weekend! I am working most of the weekend but hopefully I can fit in some fun stuff, too!